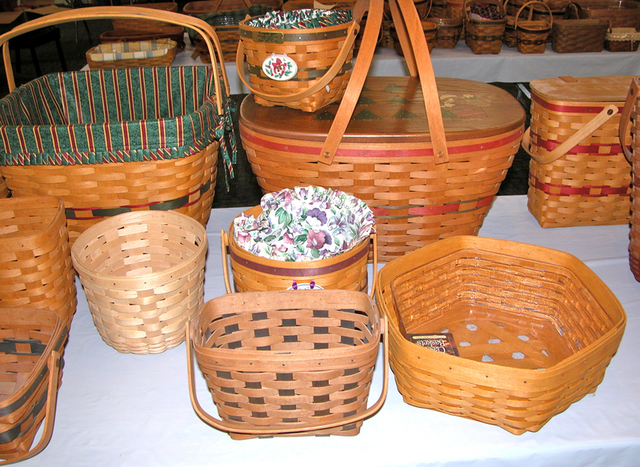 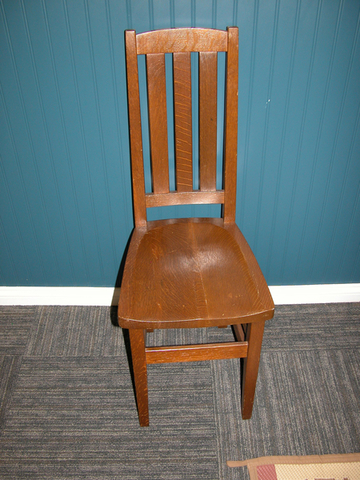 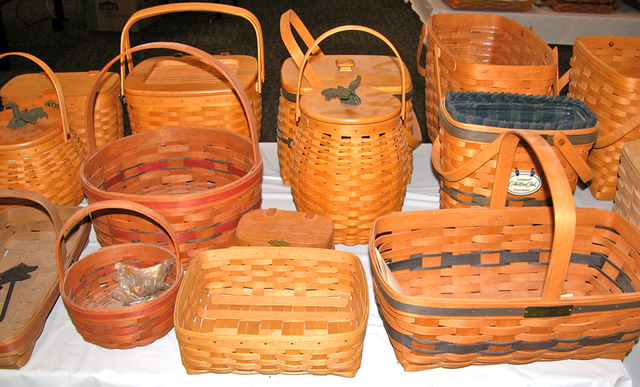 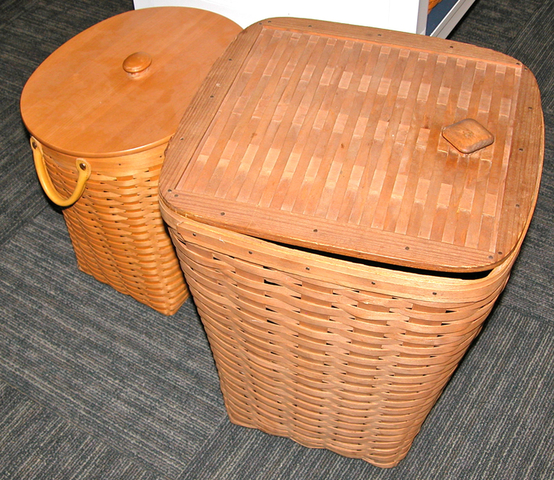 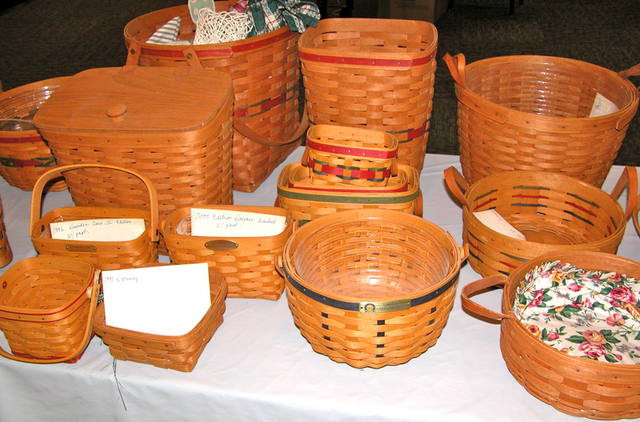 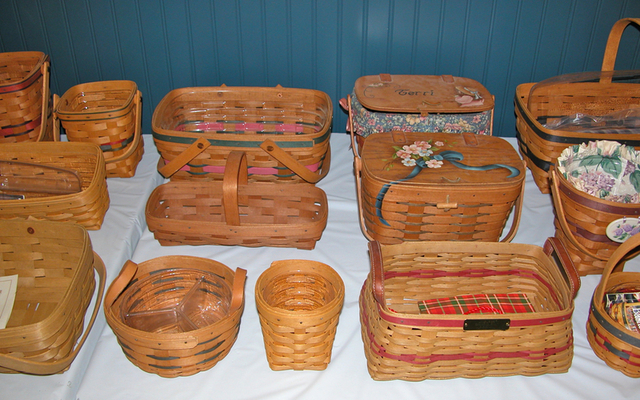 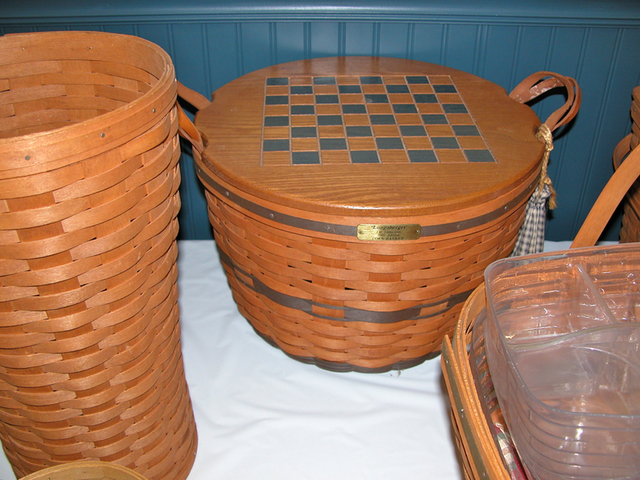 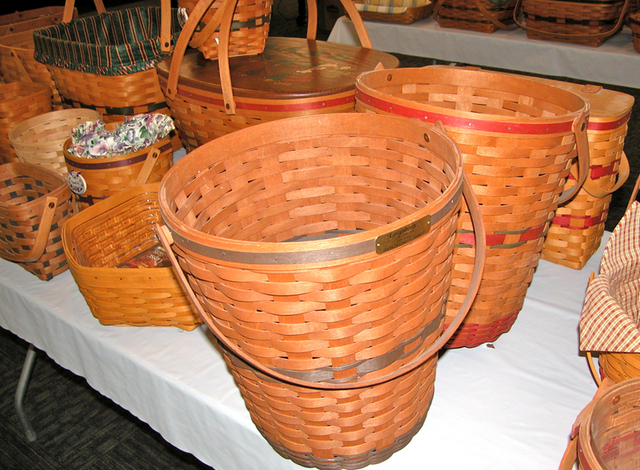 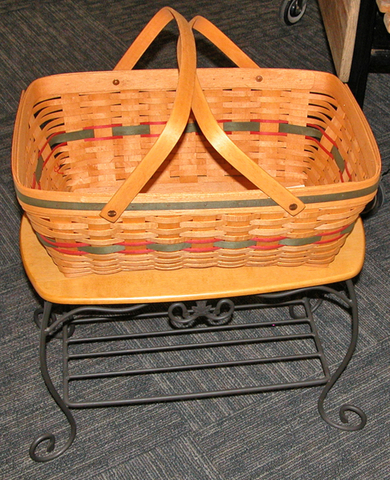 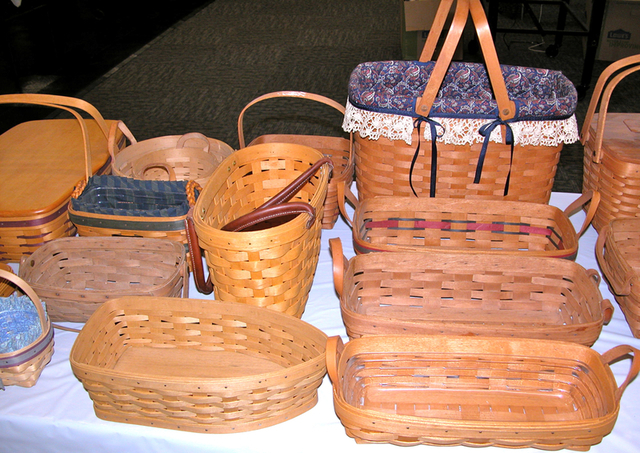 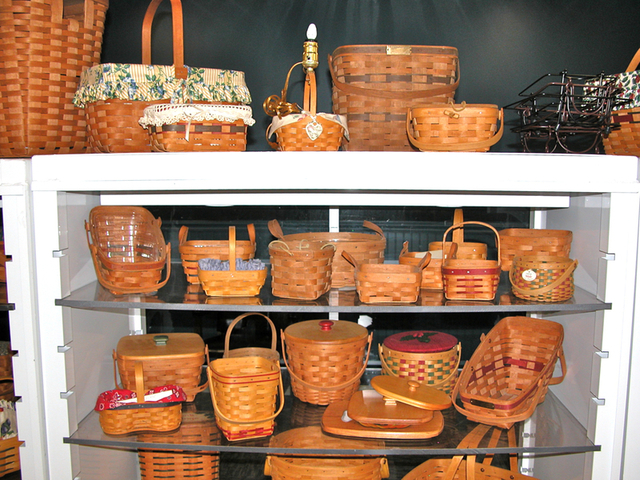 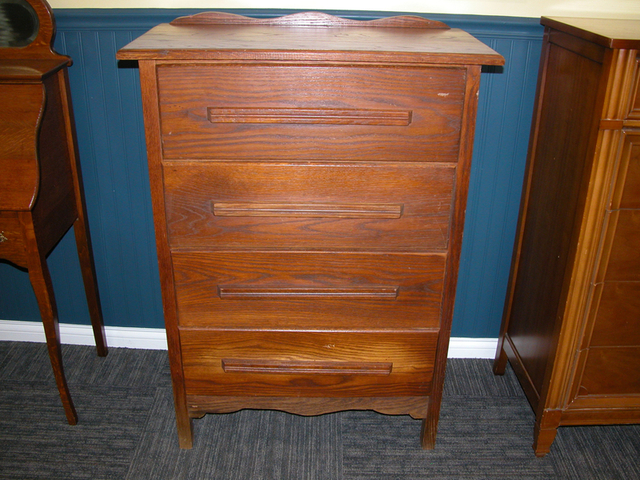 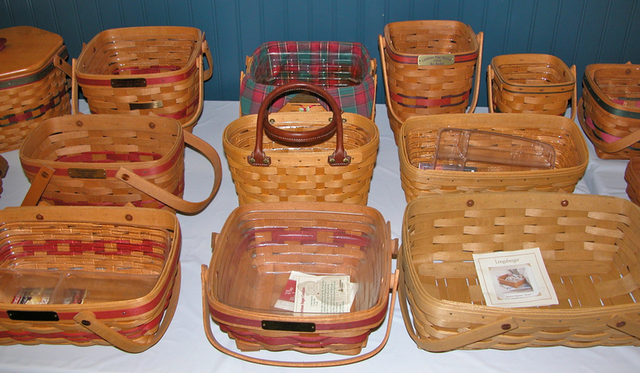 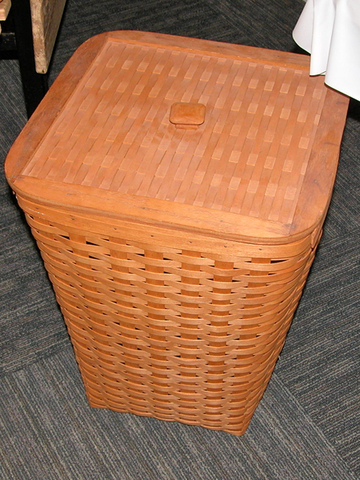 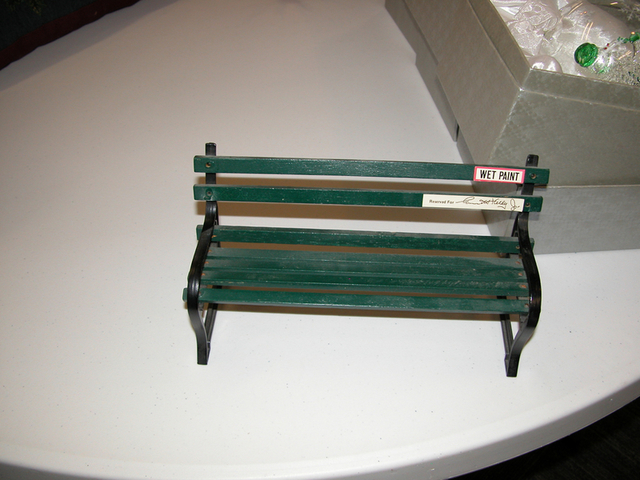 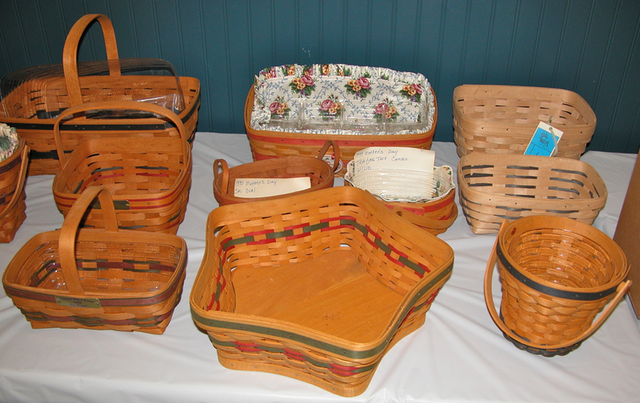 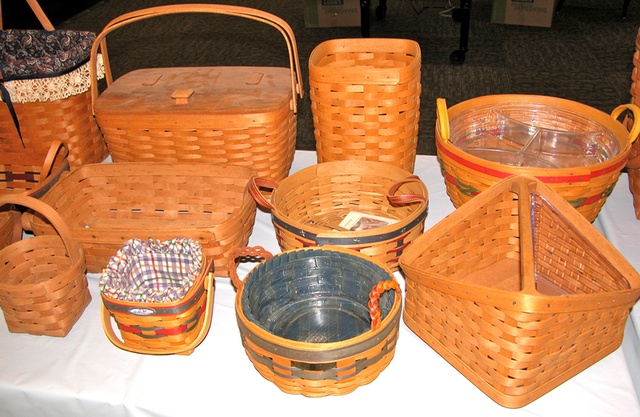 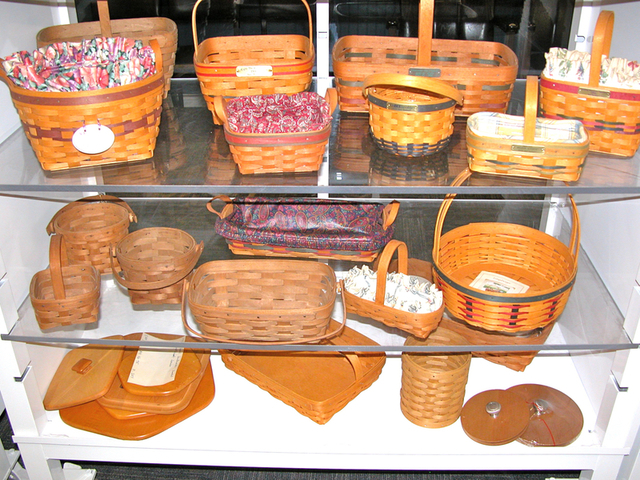 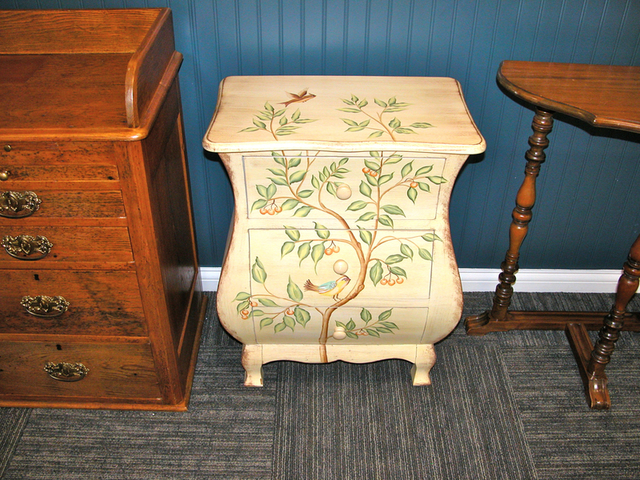 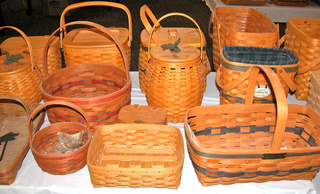 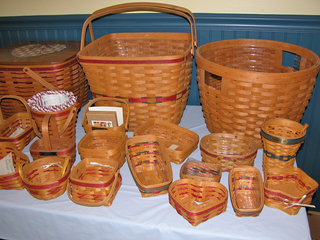 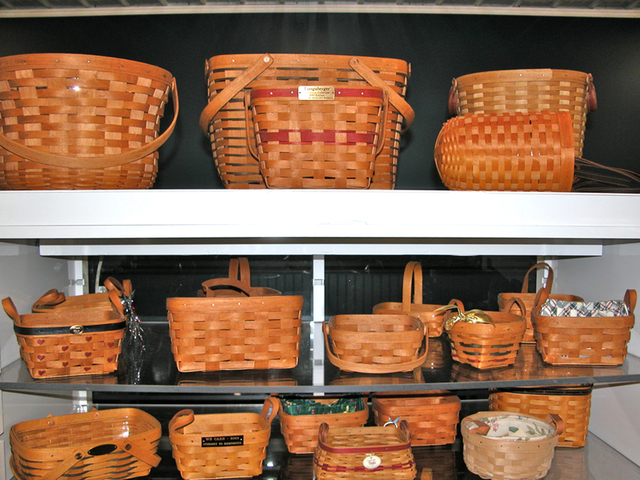 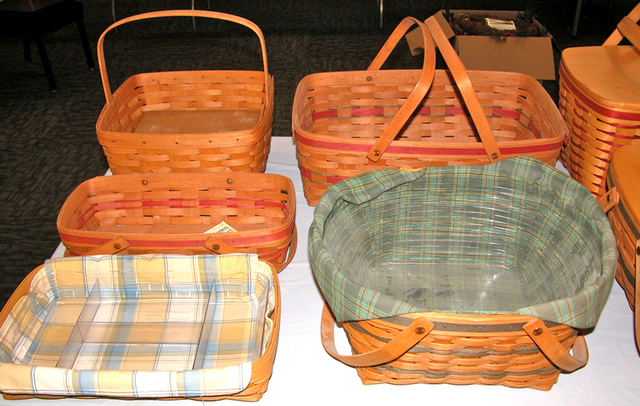 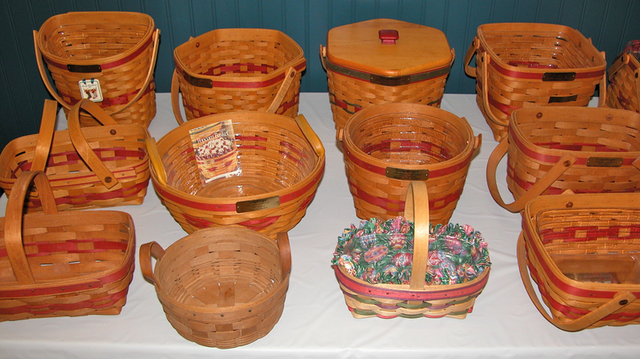 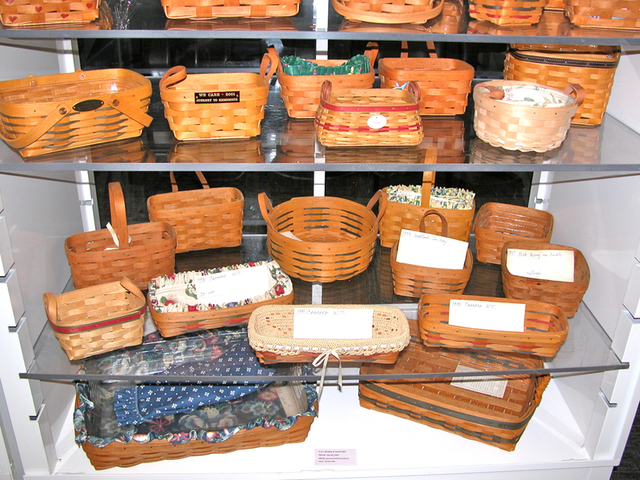 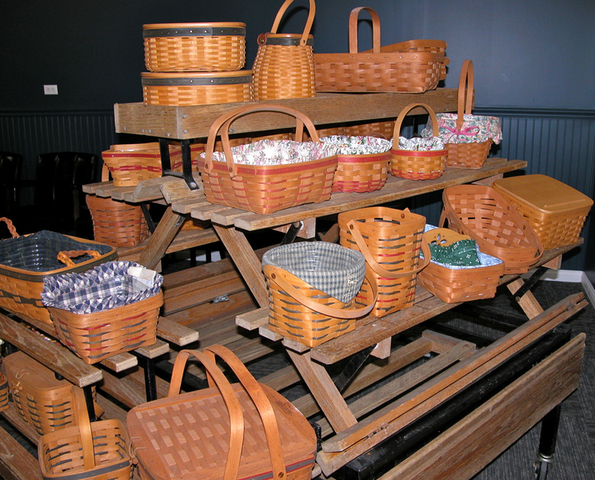 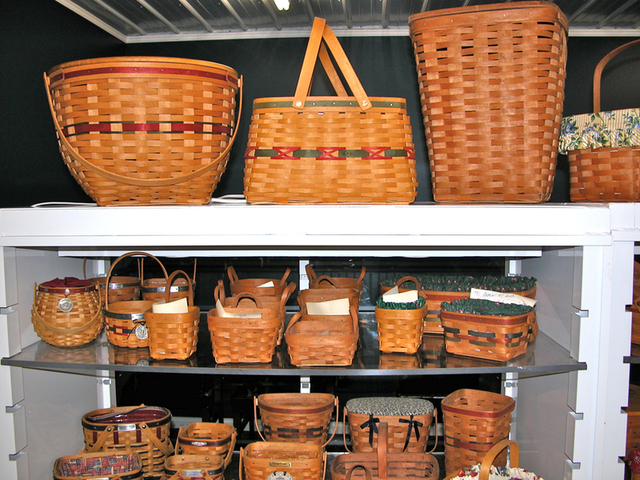 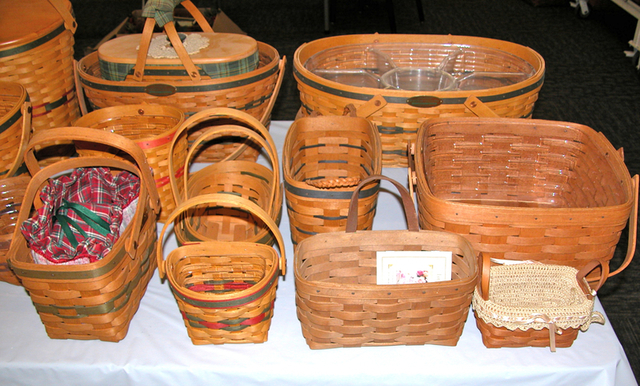 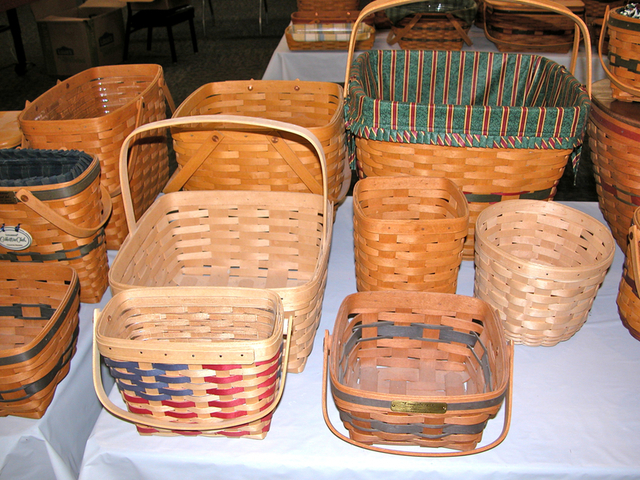 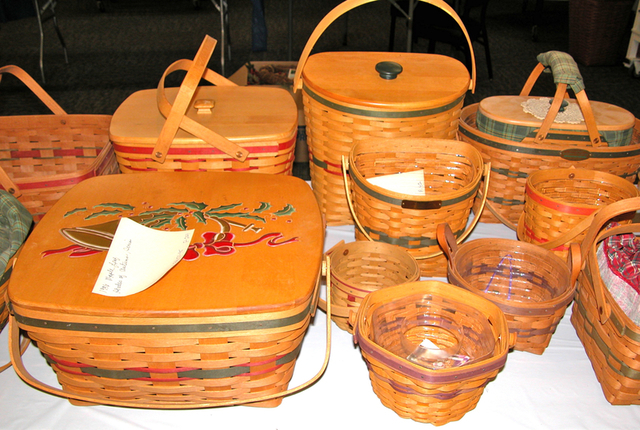 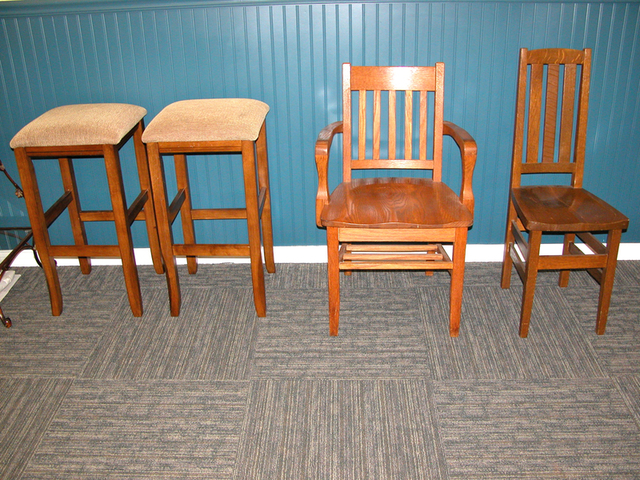 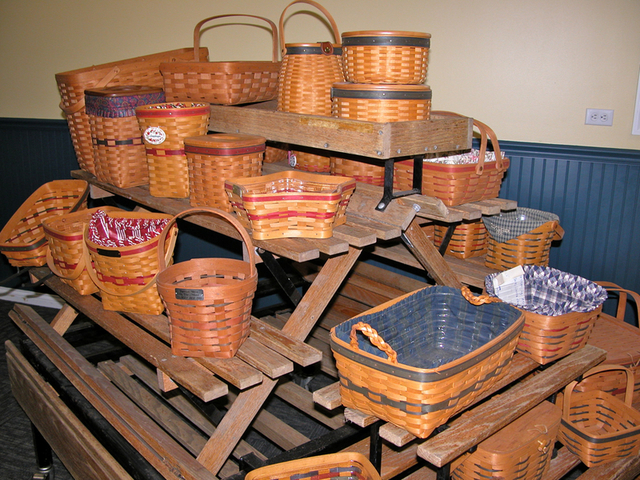 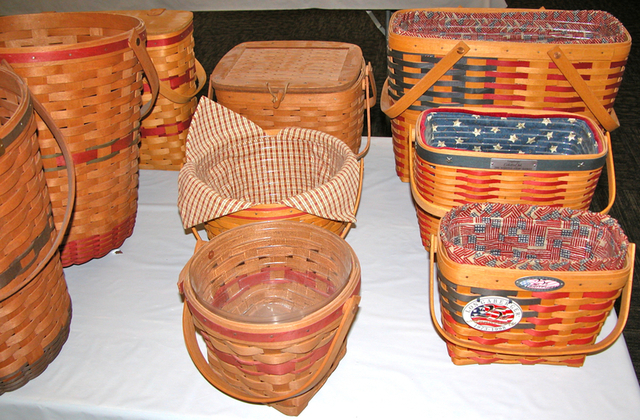 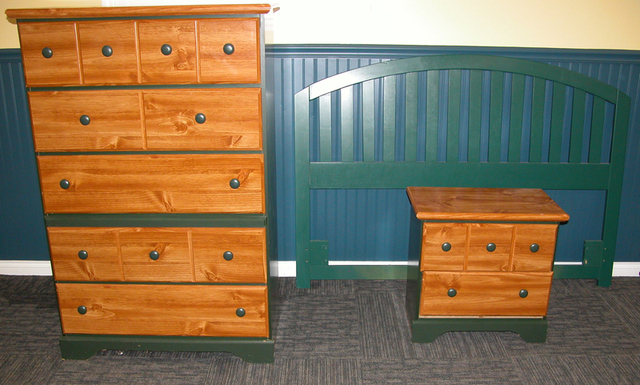 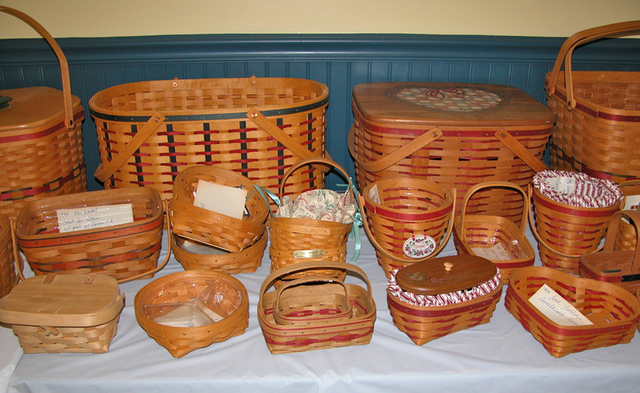 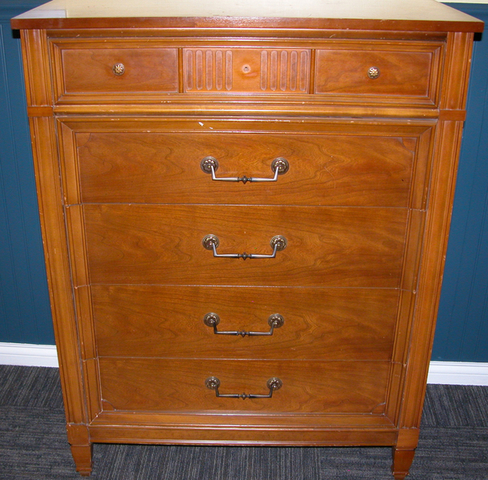 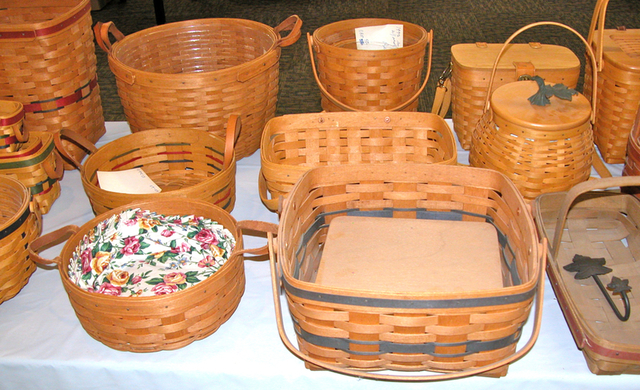 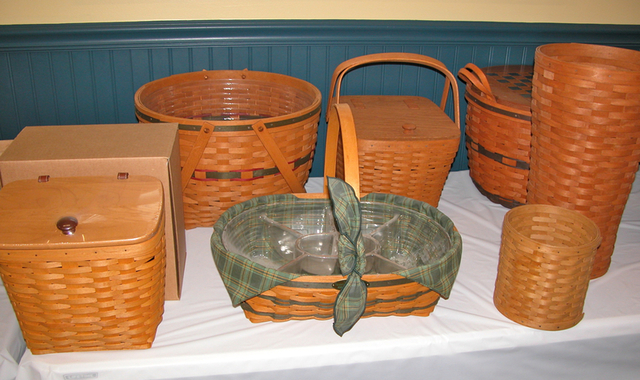 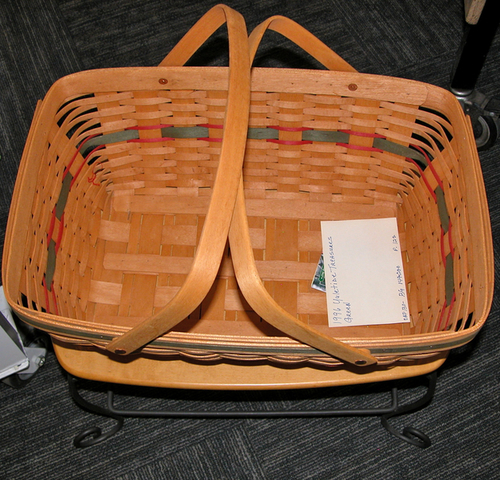 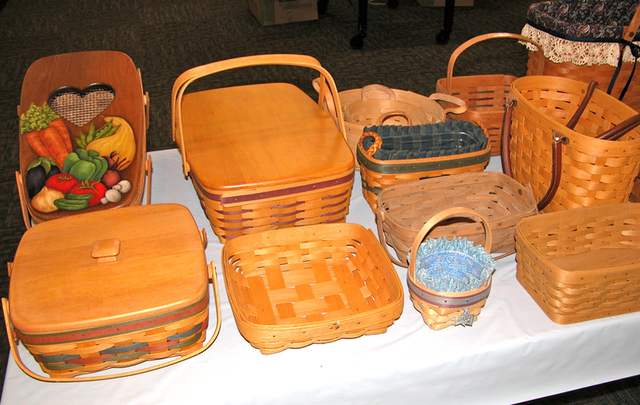 Over 400 Longaberger Baskets - Other Longaberger Items - Antiques - Collectibles - Antique Furniture - Tools - Lawn & Garden Items - Hundreds of Other Items! 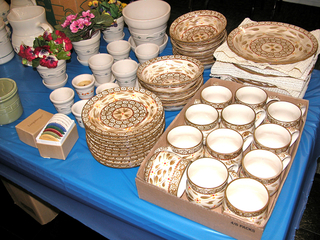 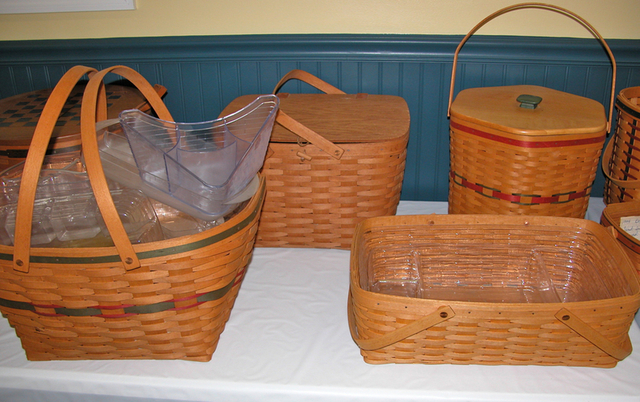 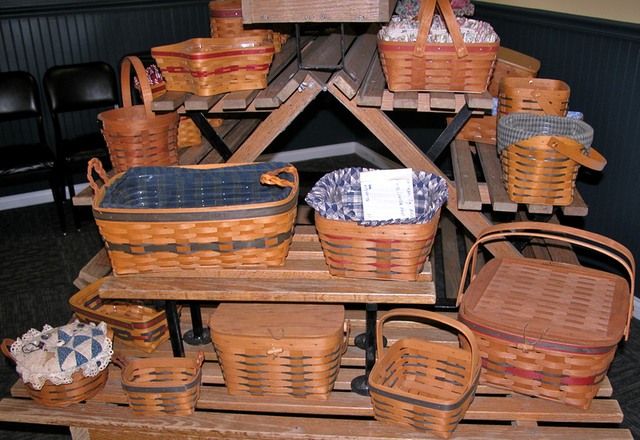 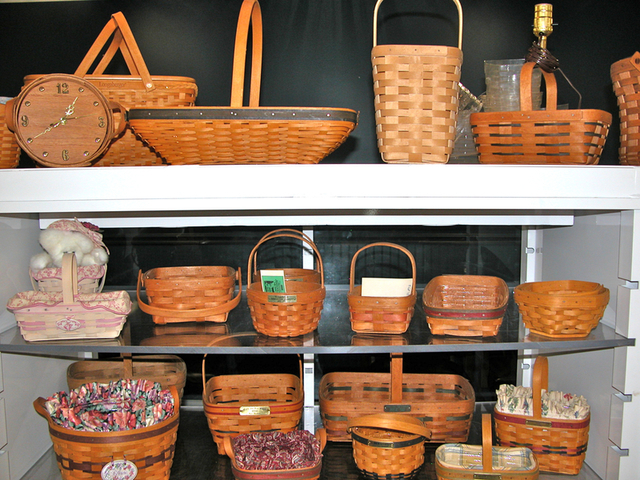 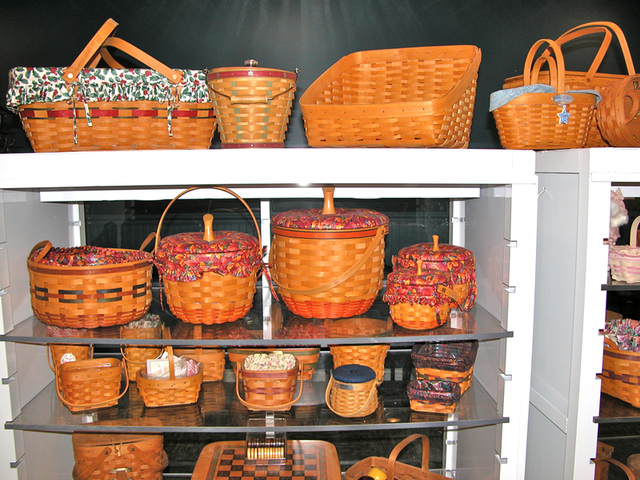 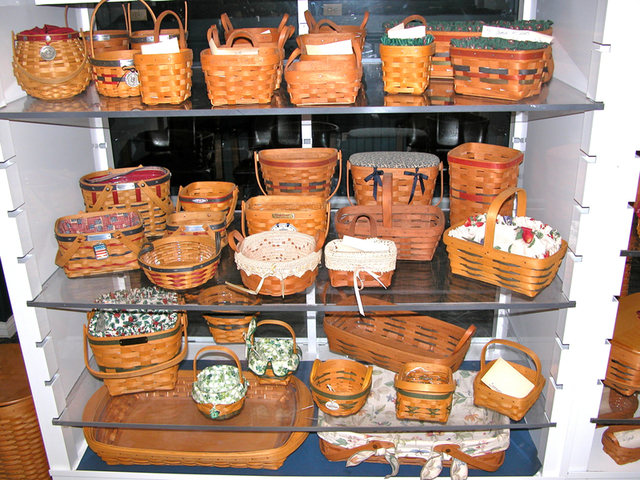 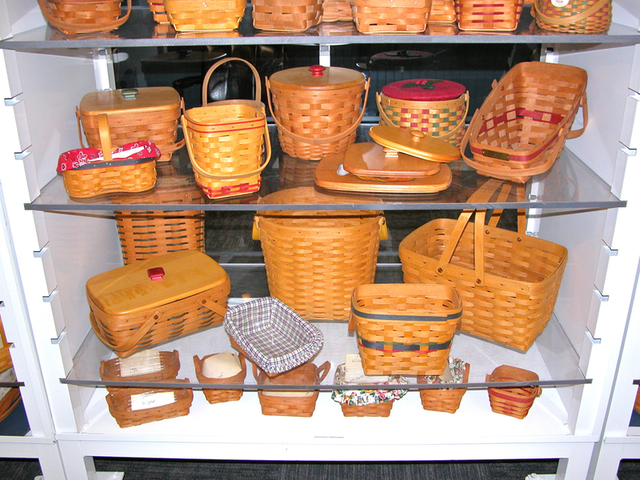 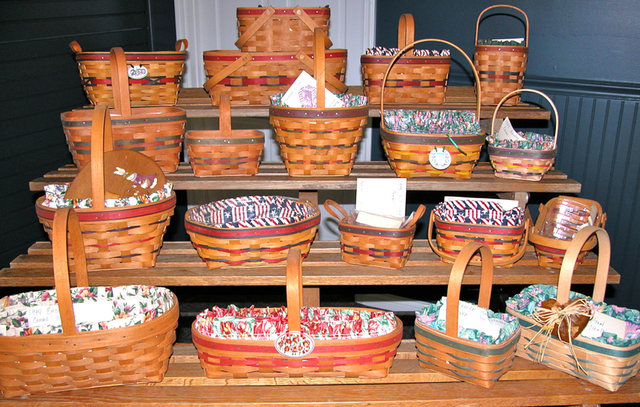 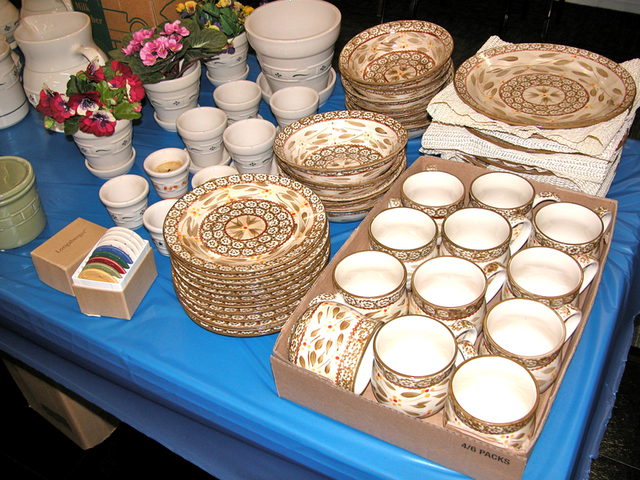 Over 400 Longaberger Baskets, dish sets, pottery, accessories! 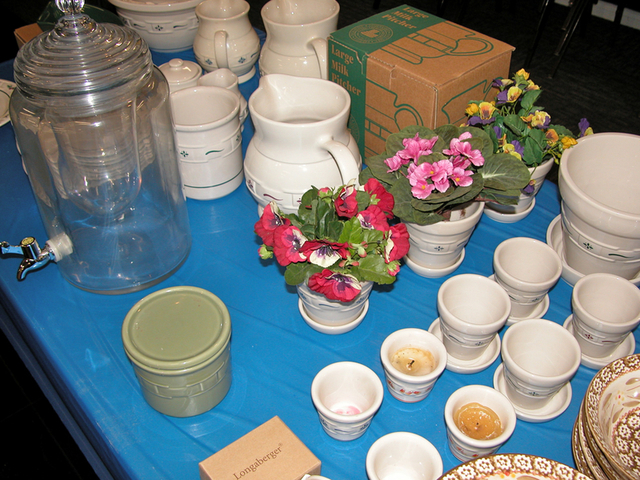 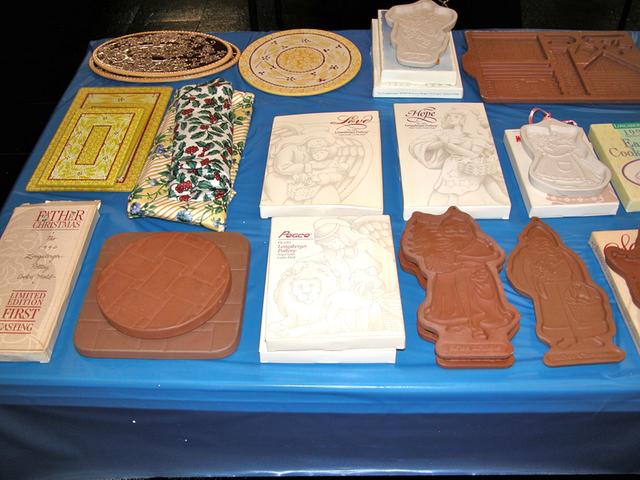 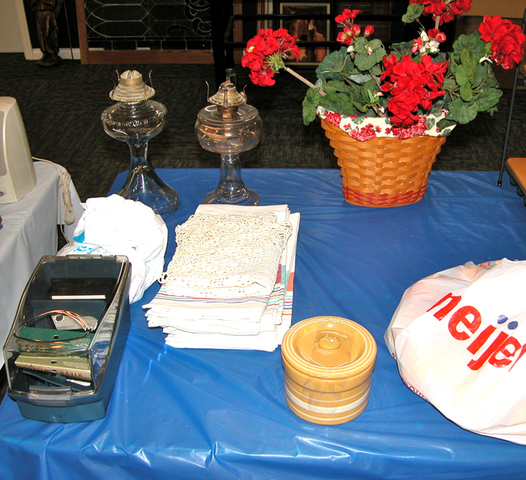 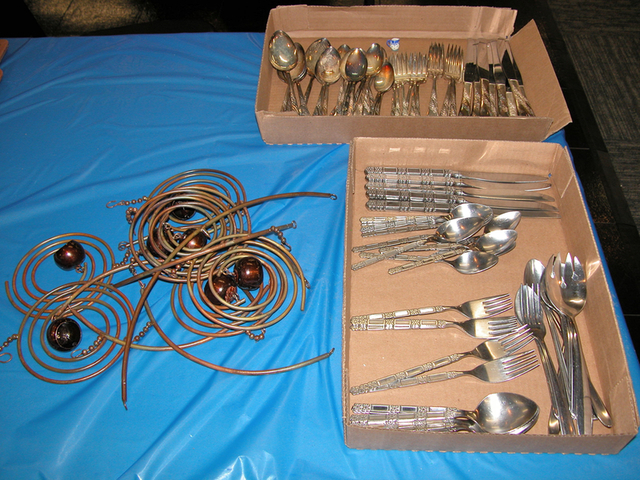 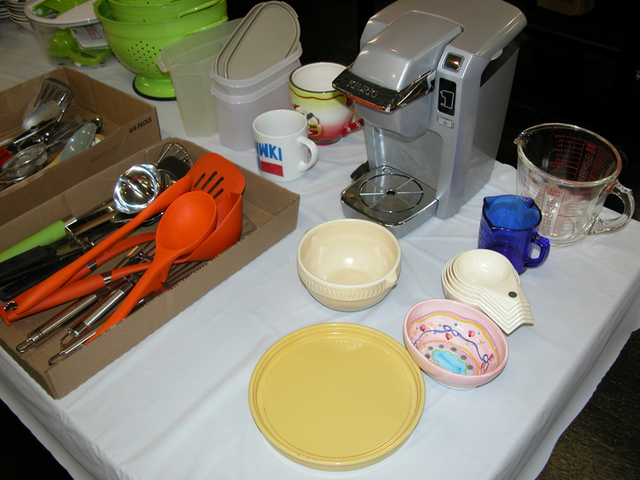 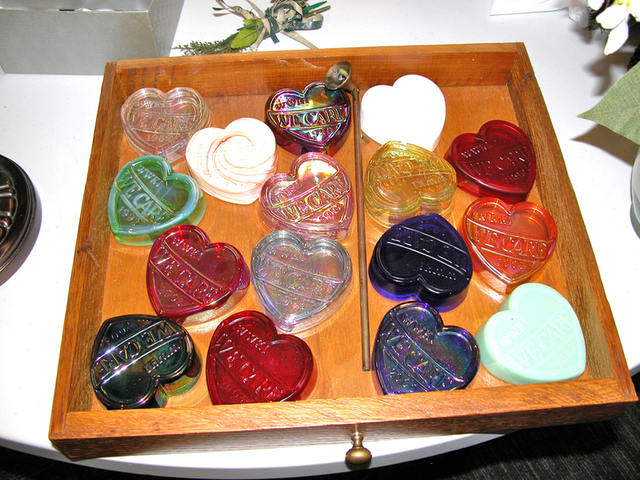 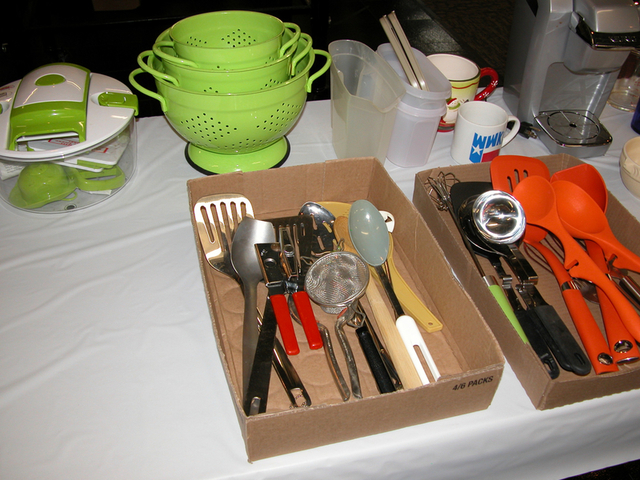 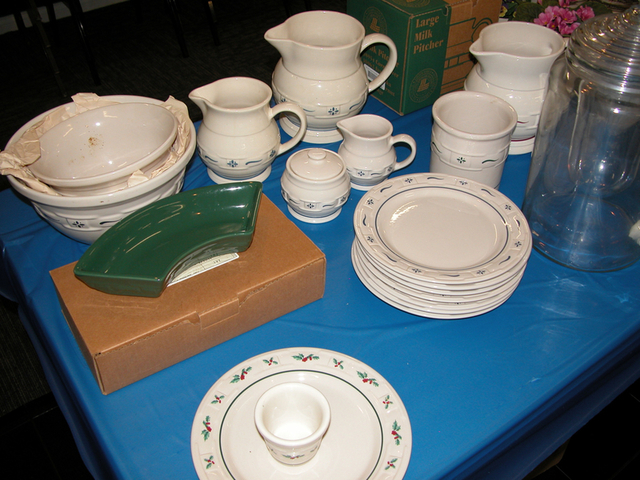 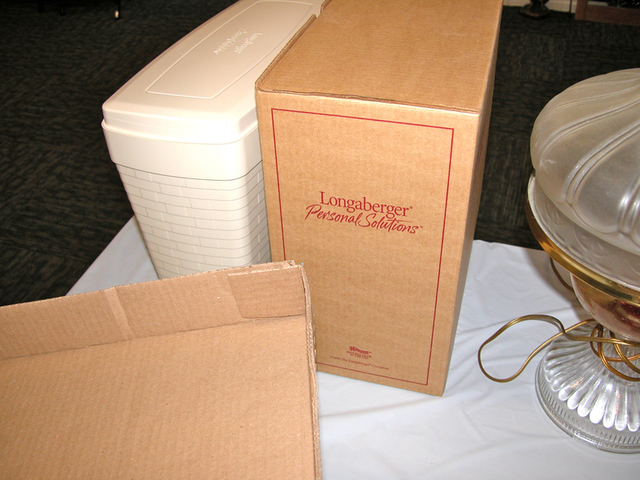 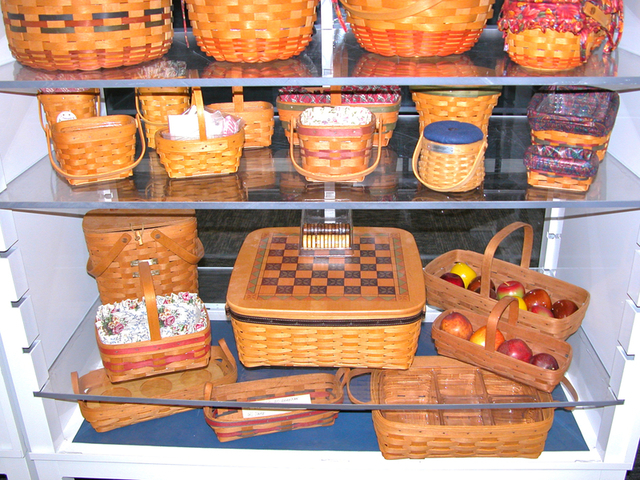 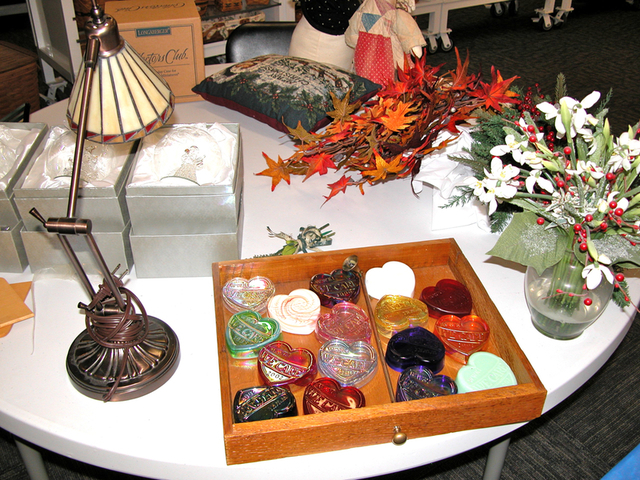 Items range from the 1980’s thru early 2000’s; green & red Classic pottery; Holly; Woven; cookie molds; lots more Longaberger; Temp-tations Old World 48 pc. 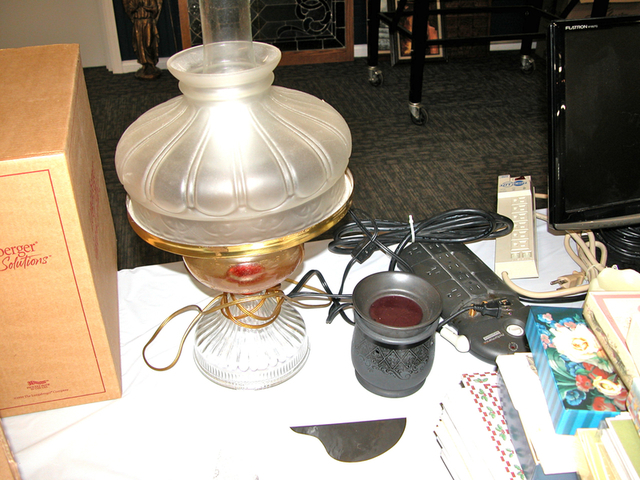 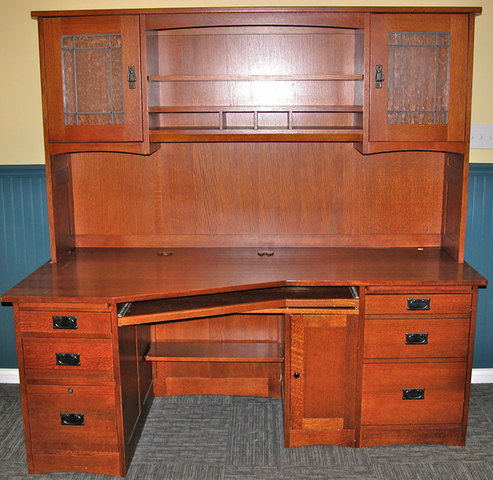 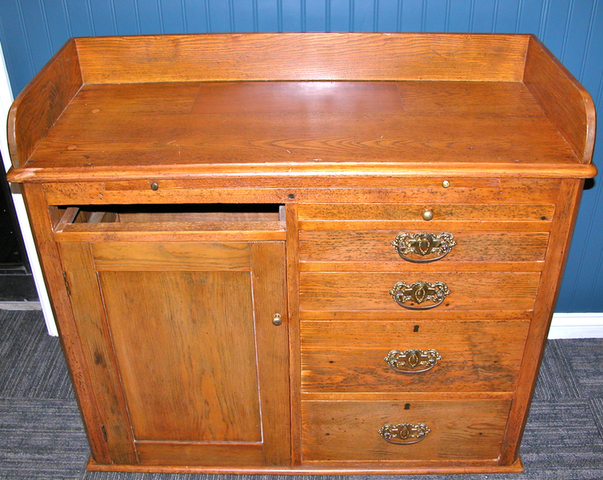 dish setting of 12, spice; two of Charlie Cropper’s hats, Stetson type; Leaded glass; printer’s drawer; antique clock; oak chairs; antique oval mirror; oak four drawer, door front wash stand; oak drop front small desk w/mirror; four drawer chest; three leg wall table; oil lamps; floor lamp; oil lamp converted 110; upholstered top bar stools; four tier glass shelf iron stand; pine chest, night stand & head board trimmed green; three drawer Bombay light yellow floral chest; oak 6’ computer desk w/drawers; kitchen items; WWKI We Care glass; lots of table favors; NordiTrack 2500R tread mill; patio table w/4 chairs; croquet set for six; corn hole set; water skis; wood porch swing; wood folding chairs; kerosene heater; Warn Z3500 12V cable winch w/remote; AgriFab lawn sweeper, pull type; AgriFab 10 yard dump cart, pull type; Sno Thro gas snow blower; post diggers; shovels; rakes; axes; mattox; splitting maul; gas cans; two man saw, painted scene; gas grill; large Igloo cooler; lots of other items. 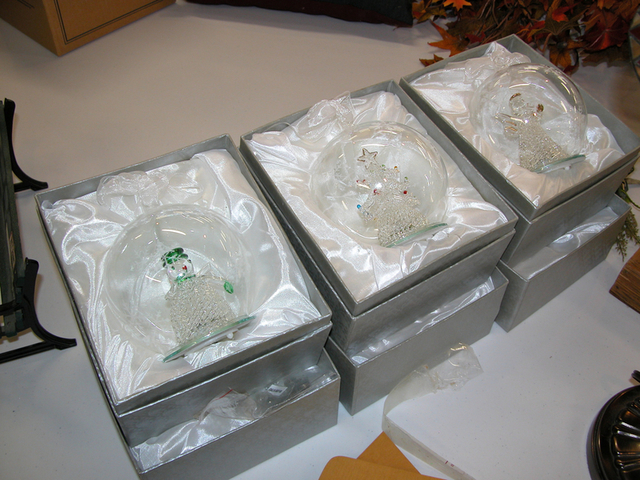 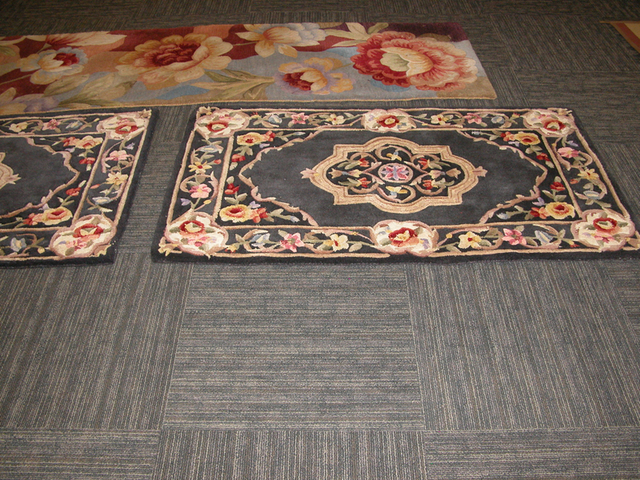 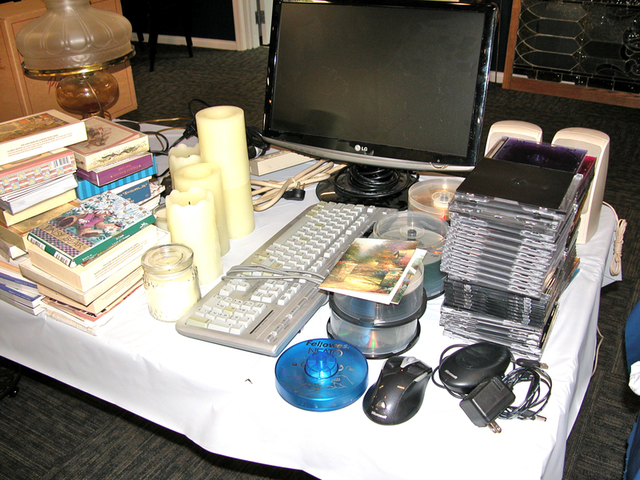 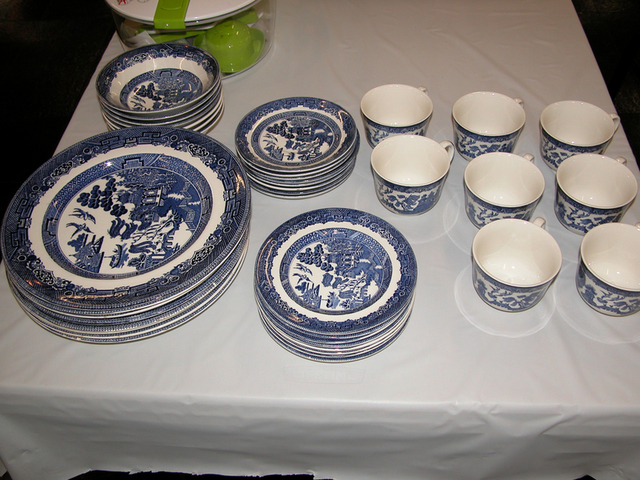 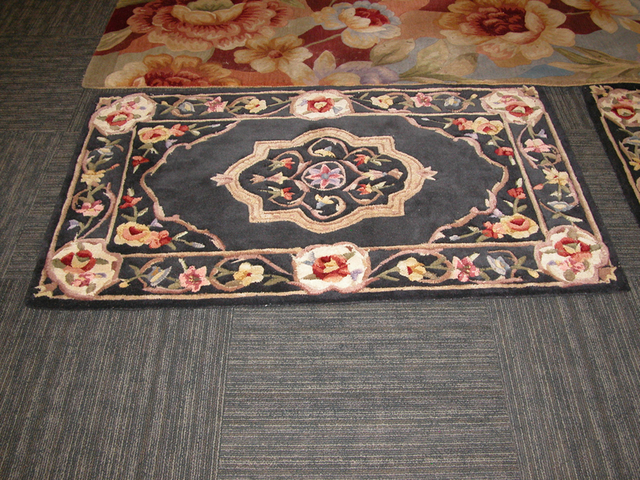 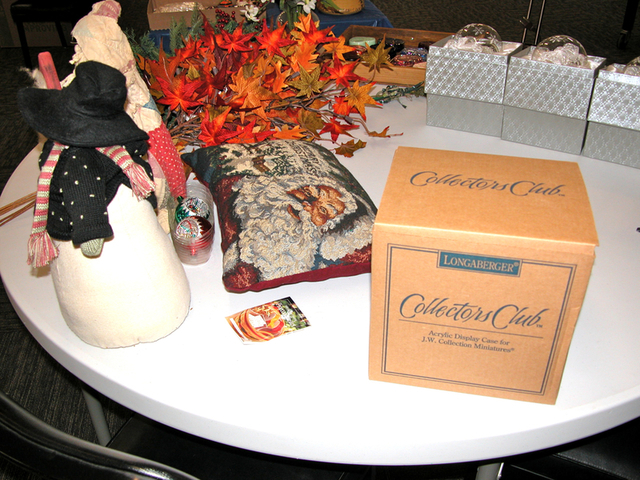 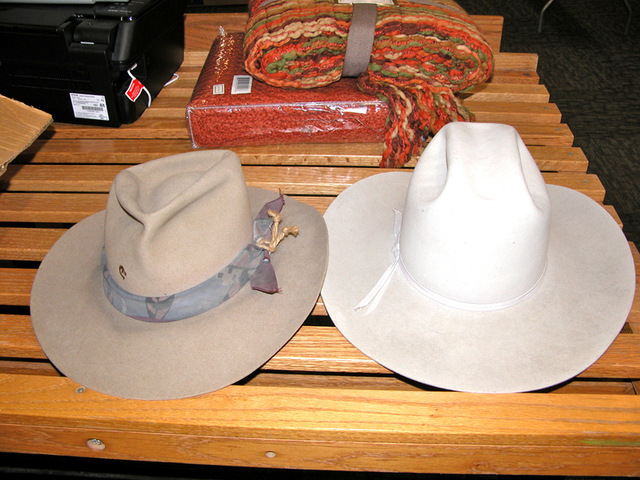 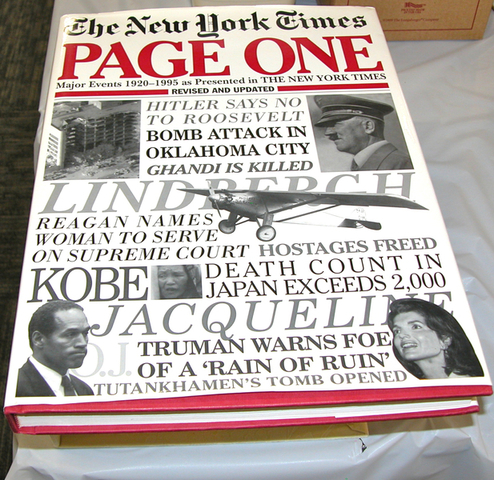 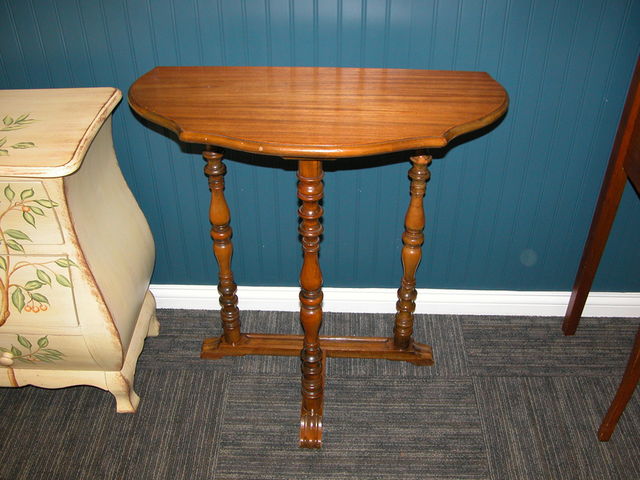 This auction will be held in conjunction with the Roberta Culbertson Estate auction. 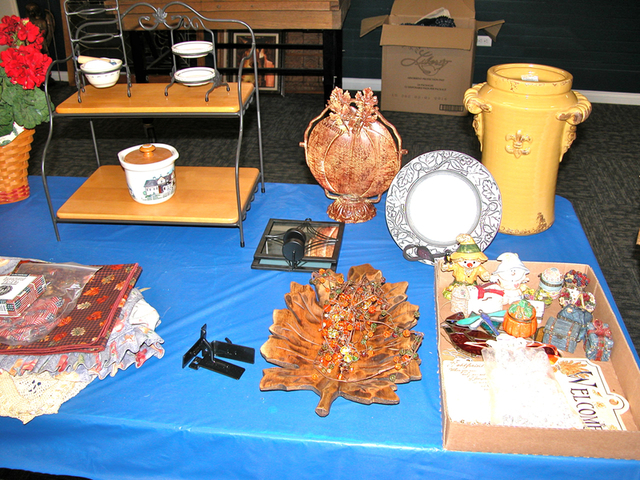 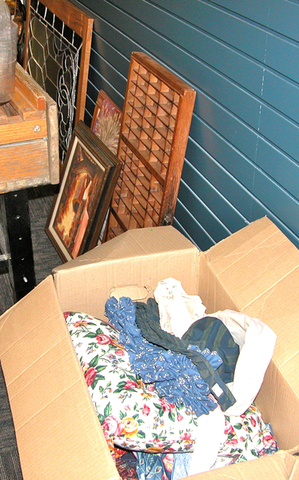 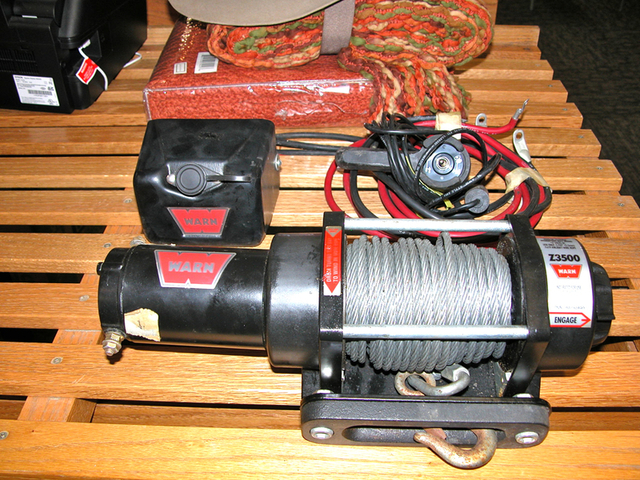 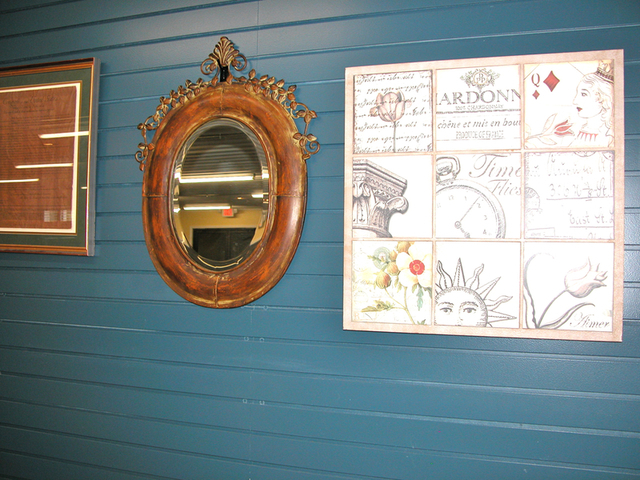 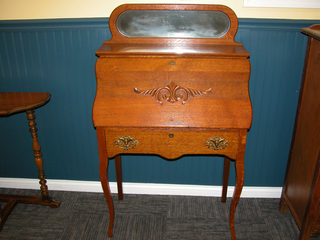 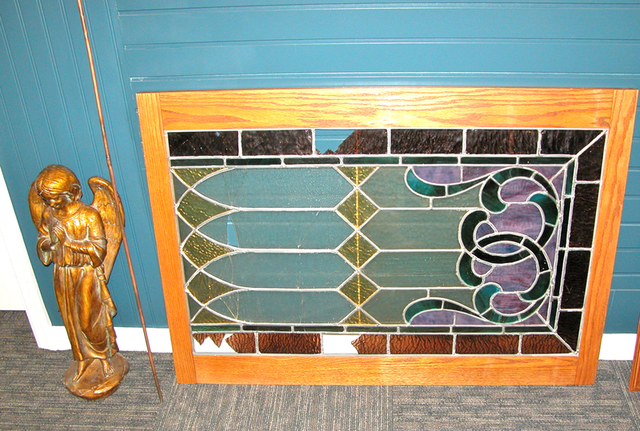 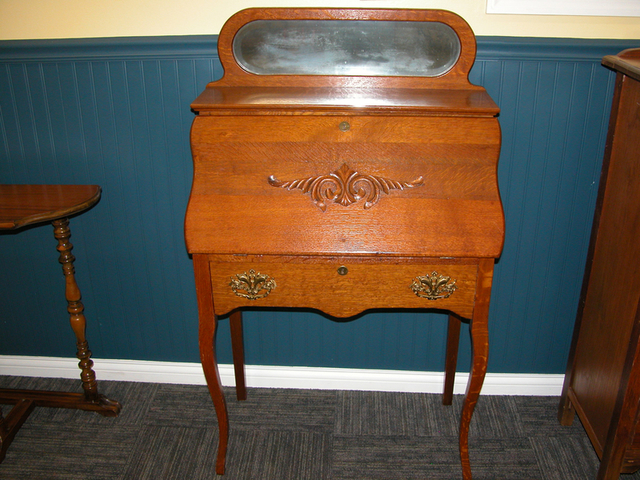 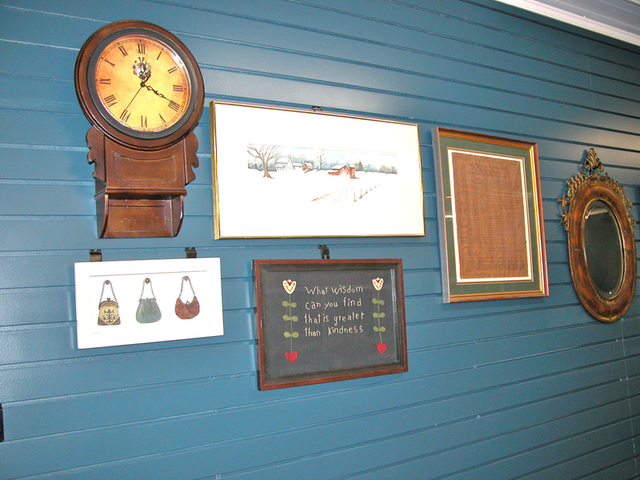 Lots of antiques & collectibles.